The Museum of Welsh Life, St.Fagans, Cardiff was opened on 7 July 1948. It is one of Europe's premier open-air museums and the most popular Welsh heritage center. 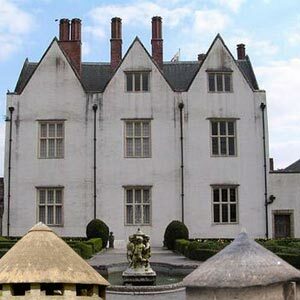 The Museum is housed on the grounds of the magnificent St.Fagans Castle, a late 16th century manor house donated by the Earl of Plymouth to the people of Wales. The Museum of Welsh Life is said to be a mirror of the Welch culture and lifestyle. The Museum gives you the chance to travel from the Celtic village that is 2,000 years ago to a miner's cottage of the 1980's. It unravels how the people of Wales lived, worked and spent their leisure time over the last five hundred years. It showcases Welsh history and tradition. The 100-acre Welsh life Museum has over forty original buildings, moved from various parts of Wales and re-erected to show the life style of Welsh people at various times in history. The buildings include a chapel and a Workmen's Institute as well as several workshops where blacksmiths and the cooper, demonstrate their skills to the public. The Museum of Welsh Life literally comes to life when traditional festivals and customs and music and dance events are staged throughout the year. There are also large indoor galleries housing exhibitions of costume, daily life and farming implements. The visitors can step back into the past. Visit the primitive Celtic village; feel the bustle of a pre-war grocery and a 19th century farmyard, complete with animals. Experience the chill of a Victorian schoolroom. The Museum of Welsh Life is located 4 miles west of Cardiff City Center and admission to this cultural heritage is free for all and would take a minimum of two hours to explore. The entrance displays information about the day's activities and forthcoming special events and exhibitions and leaflets, maps are available at the Reception.